Dear Heart, I Hate You is on audio everywhere! Audible, actual cd's, available to rent through downpour, etc! Also, 10 Years Later and Heartless will be released in June for audio... with Seeing Stars and Breaking Stars following in July! You've been waiting! You guys, I'm really excited for you to read this story. Per usual, a part of my heart is in here. Part of my sadness, my struggle, my life...... my books are always personal. More so because I take things that have happened to me and write them out. It's just what I do. This is no exception. At all. This book was HARD for me to write. So hard. I hope you FEEL that while you're reading it. I hope you love it. I really, really, hope you love it. Thank you so much for reading. 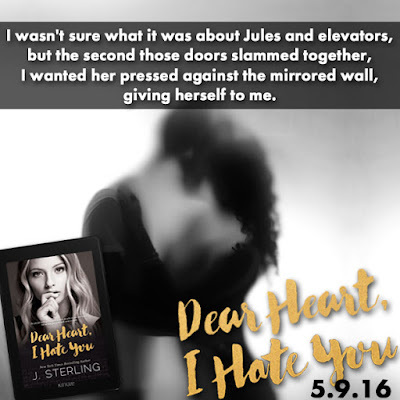 OMG, DEAR HEART I HATE YOU comes out tomorrow!!!! I'm pretty excited (and sick to my stomach). "Sterling weaves a tale of unexpected love and long distance relationships that is both enjoyable to read and truthfully painful when examining the truth about love and ambition." I just got in a limited shipment of DHIHY paperbacks. I've put them up for order over on my store (click the STORE tab up there ^^^^^^). These books are so gorgeous in real life. I'm absolutely in love. I can't wait for you all to read this book. I hope you love it as much as I do. 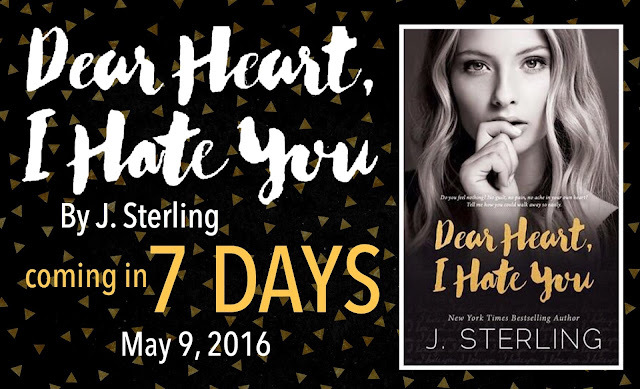 We are officially ONE WEEK AWAY from the release of Dear Heart, I Hate You! I am so unbelievably excited for you all to read this story. Just thinking about it hurts my guts. Everything I write has pieces of my truth in it.... things I've lived through... heartbreak I've experienced. This book is no different in that regard, although I do feel like it's different in general. The story itself is different; in the way it's told. This isn't your typical, drama for the sake of drama, love story. There's no over the top ridiculous plot lines. It's filled with real life. I hope you guys enjoy it. I hope you can relate to it. So yeah.... 7 days away! It's up for pre-order everywhere except Amazon. Amazon will go live the day of release. May 9th!